These “mad lib”-style worksheets are instant math motivators! 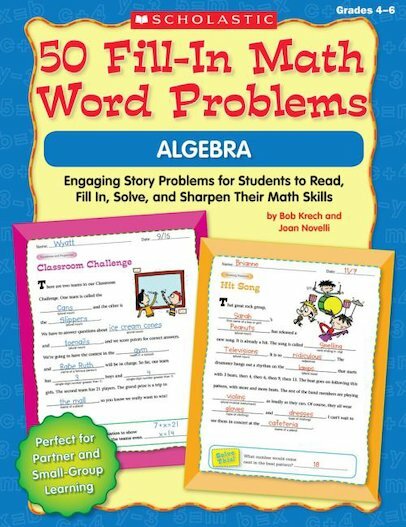 Each hilarious fill-in story gives kids a fun way to practice solving word problems and build an understanding of algebraic concepts. Skill topics correlate to the NCTM standards and include creating and analyzing repeating and growing patterns, representing patterns with drawings and graphs; using variables; expressions; formulas; equations; and properties. Perfect for partner and small-group learning, day starters, or homework.